As a friend of Sports Cheat Sheet once put it, “No sleep till playoffs,” particularly at the outset of the NBA’s postseason, when there’s roughly a thousand hours of basketball being played every night, and when eight hours of quality rest seems like a sick joke. With the first round coming to a close, there will be opportunity for a little more rest and relaxation on the part of fans and players alike. As the semifinals take shape, we’re able to examine which are the eight best teams in the entire NBA. None of them are going to be easy outs as they look to advance to the conference finals. While the NBA playoffs don’t have the visceral payoff of the NFL’s single-elimination matches, they do inevitably present a more realistic vision of which teams are the best in the entire league. That’s what an extended series proves, after all: who can bring it the most often. Not that there isn’t some luck and timing involved, particularly where health is concerned, but generally, the better squad comes out on top. Rotations get shorter, the game slows down, and no one is tanking for draft position anymore. 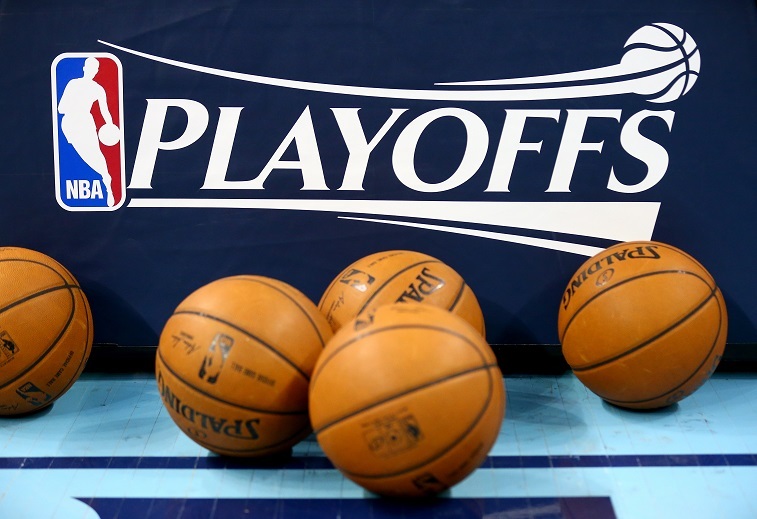 With all that in mind, let’s take a look at the four upcoming NBA Playoffs match-ups. We’ll give insight on how we think the series is going to go, anything notable about the teams involved, and our picks for the eventual Eastern and Western Conference finals participants. While this season’s discussion has been all about the Golden State Warriors (and deservedly so, seeing as they were the NBA’s winningest team and basically spent the year mopping the floor with their opponents), it’s easy to forget that, for a long time, the Dubs represented one of the feisty second-tier Western Conference teams, alongside the George Karl-led Denver Nuggets, the Houston Rockets, and the Memphis Grizzlies. They were, essentially, where a team like the Portland Trail Blazers are now: talented, but not a squad you expect to seriously challenge for an NBA Finals berth. And for every team that ends up like the Warriors, there’s a team that ends up like the Nuggets. The Blazers could go either way. 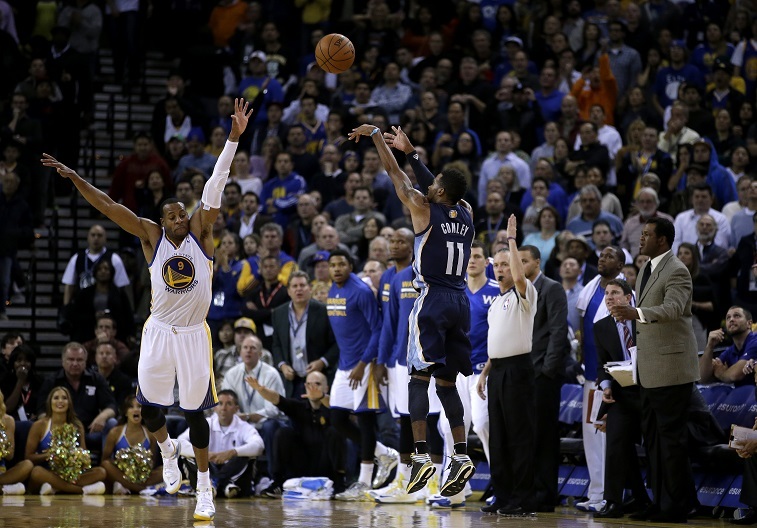 Why are we talking about the Blazers so much in the Memphis-Golden State second-round preview? Well, as of this writing, the Trail Blazers aren’t actually out of the playoffs yet — they face a 3-1 deficit against the Grizzlies, and they started the series with three consecutive losses, so they’ll either be eliminated summarily or make NBA history (no team has ever come back from 3-0 down in the playoffs). We’re big fans of LaMarcus Aldridge and Damian Lillard, but we think the Grizzlies will wind up on top, possibly as early as tonight. Whoever is left standing, anyway. The Grizz are going to have to deal with injuries and the loss of perennially underrated point guard Mike Conley, but Memphis have largely defined themselves by their no-nonsense attitudes and refusal to claim excuses. They play aggressive, hard-nosed basketball with no quarter given and no apologies necessary, which makes them a tough out. Our best guess? The Warriors go on to the Western Conference finals after six close games. Like the previous post, Chicago hasn’t actually closed out Milwaukee yet, but we’re betting the safe money on Derrick Rose and company, all respect to the wonderful job that Jason Kidd has done with the Bucks. Remember when they were supposed to be tanking this year? Anyway, Cleveland still has to be considered the favorites here, even though Kevin Love is out for the series (and potentially the entire playoffs) with a torn labrum, and J.R. Smith serving a two-game suspension for clownish behavior. 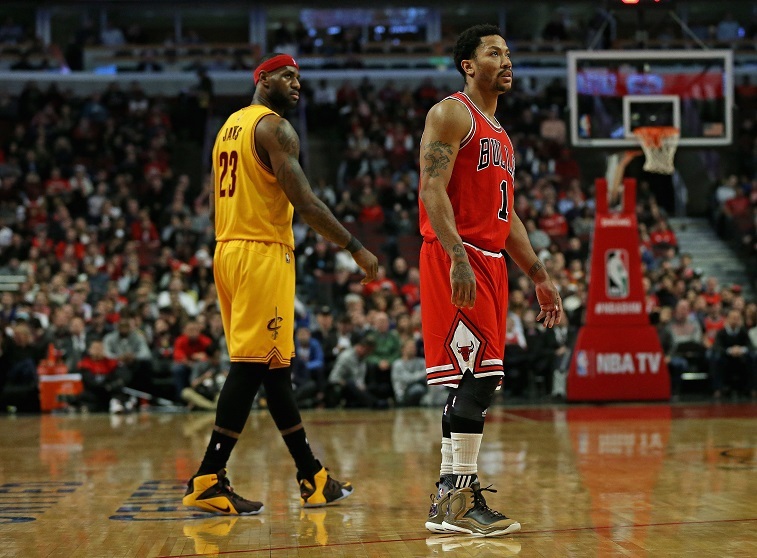 They can’t pull the injury card on the Chicago Bulls, of all franchises, and especially not when they have the two players who can legitimately lay claim to being the best on the floor on the roster. For those of you keeping score at home, that’d be Kyrie Irving and LeBron James. We want Rose back as much as anyone else, but we’re tempering our expectations. This Bulls team isn’t as good as the last one, featuring Rose in his ascendent prime, anyway. They’re a little more versatile, for sure, but 2011 was the pinnacle of Windy City basketball for this current squad, and once LeBron started picking up D-Rose on defense, it wasn’t really close. Does Jimmy Butler really move the needle that much? No, we didn’t think so. Cleveland takes this. Paul Pierce is the best. Some people will dispute that — those people are Raptors fans (who are sad), Lakers fans (who are sad), or Drake (who is always sad), but “The Truth” has consistently been one of the most fun players in the NBA, particularly now that he’s settled into his new role as trash-talking elder statesman, a role he’d share with Kobe if Kobe was still going to play a minute of meaningful basketball before his contract is up and he rides off into the sunset and/or Italy. 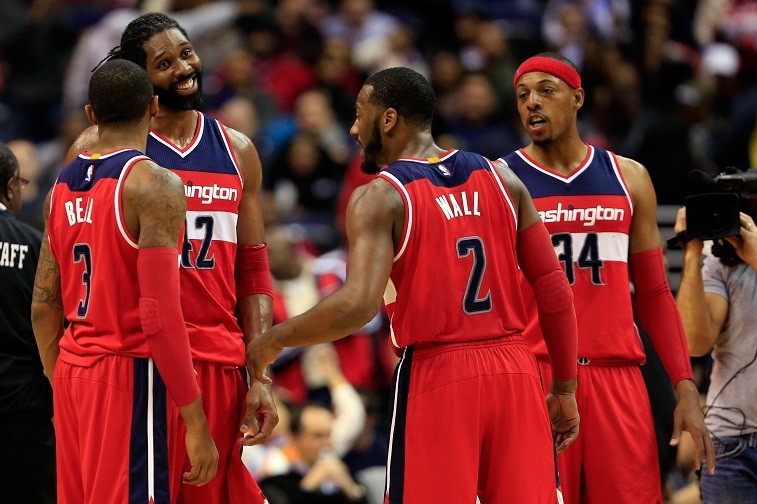 When the Wizards swept the Raptors, it was not exclusively because of Pierce, but we’re going to go out on a limb and say that the long-suffering Washington fanbase would not have witnessed a flawless victory without Pierce. This sort of grouchy old dude bravado was on display in Game 4 of the Brooklyn-Atlanta series, when Deron Williams turned back the clock and decided to play the kind of basketball we all fondly remember him playing — his performance was wonderfully detailed in this Deadspin piece — and evened it all up at two games apiece. The Hawks were the East’s best team in the regular season, but as cliche as it is, we’re not sure they can really hang with a team that has a legitimate superstar, even if he’s washed up. And, should they make it past the Nets, we’re almost certain they don’t have an answer for John Wall’s ability, let alone Pierce’s motor mouth. Our prediction? The Wizards make it all the way to the Eastern Conference finals, the Internet explodes, and Gilbert Arenas gets his courtside seats revoked for attempting a poorly timed Finger Guns comeback. Poor DeAndre Jordan. None of us are perfect (and none of us really have the opportunity to be perfect when Doc Rivers is picking our coworkers), but dude definitely didn’t need to have his imperfections put on display so glaringly as the offensive interference that evened up the San Antonio-Los Angeles series at two games apiece. Yowch. 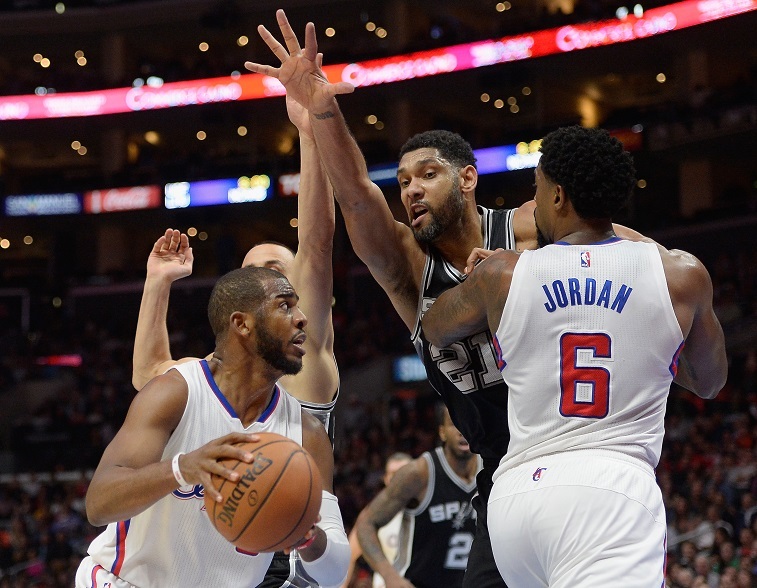 While we’re grateful to keep watching San Antonio’s Last Ride (maybe, as it’s hard to tell when to write the Spurs off), the Clippers have been underachieving in the postseason for so long we almost hope they can finally play up to their perceived potential. Either way, whichever team comes out of this matchup should have no problem dispatching the Rockets, who never seem to play well when the foul whistles stop coming. Their five-game win over Dallas rings especially hollow, since the Mavericks were in free-fall. We predict not-the-Rockets in 5.